From the award-winning NPR religion correspondent and author of Life Reimagined: The Science, Art, and Opportunity of Midlife comes a fascinating investigation of how science is seeking to answer the question that has puzzled humanity for generations: Can science explain God? Is spiritual experience real or a delusion? Are there realities that we can experience but not easily measure? Does your consciousness depend entirely on your brain, or does it extend beyond? 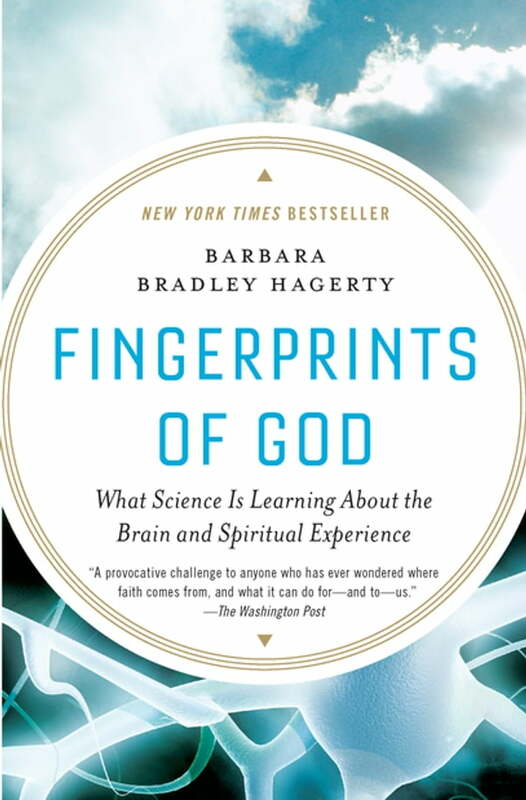 In Fingerprints of God, award-winning journalist Barbara Bradley Hagerty delves into the discoveries science is making about how faith and spirituality affect us physically and emotionally as it attempts to understand whether the ineffable place beyond this world can be rationally -even scientifically-explained. Hagerty interviews some of the world's top scientists to describe what their groundbreaking research reveals about our human spiritual experience. From analyses of the brain functions of Buddhist monks and Carmelite nuns, to the possibilities of healing the sick through directed prayer, to what near-death experiences illuminate about the afterlife, Hagerty reaches beyond what we think we know to understand what happens to us when we believe in a higher power. Paralleling the discoveries of science is Hagerty's own account of her spiritual evolution. Raised a Christian Scientist, she was a scrupulous adherent until a small moment as an adult triggered a revaluation of her beliefs, which in turn led her to a new way of thinking about God and faith. An insightful examination of what science is learning about how and why we believe, Fingerprints of God is also a moving story of one person's search for a communion with a higher power and what she discovered on that journey.